Pillow case: removable, with zip; thermostatic Coolmax fabric; composition: 100% polyester. Cover of core: removable, with zip; technical insulation tissue TNT; 100% Polyester. 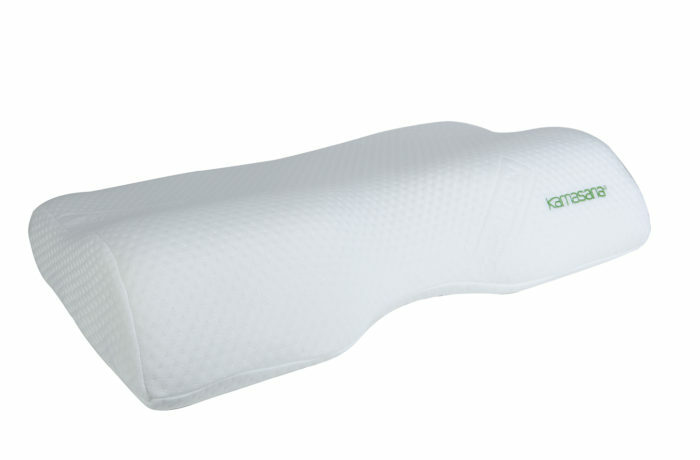 This pillow is with under neck roller, for people who like to sleep without a pillow. Provides correct physiological position of the cervical spine with a passive fixation. • Orthopedic support of the neck and head without excessive pressure. 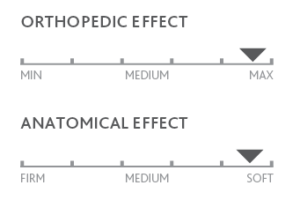 • Rapid adaptation to changes in load.